Sometimes we come across with the login pages which are not initially served over https, rather it's redirected to https. The second scenario is wherein, the login page is served over http but the login section in that page is loaded in a frame, where the credentials are submitted over https. Both can be considered as an insecure design as both are susceptible to MITM attacks. 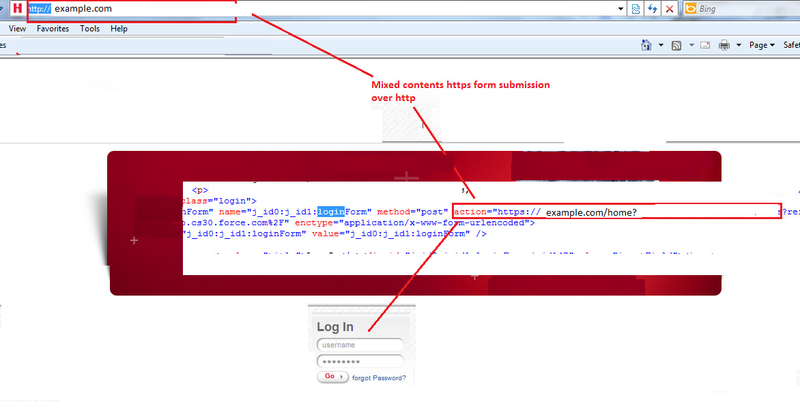 Because the login form was loaded over HTTP, it was open to modification by a malicious party. Every link/URL present on that page (not just the form action) needs to be served over HTTPS. This will prevent Man-in-the- Middle attacks on the login form. theft of proprietary data, or execution of actions. The best defense comes from user's perspective, where a user may directly access the website over https or he may book mark it. For the second scenario, the whole page needs to be served over https, not just login section.